D3 Part 1 - SVG Shapes. D3 Part 2- D3 + Angular 7 Integration . 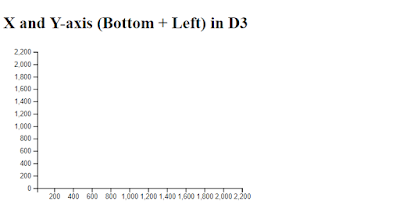 D3 Part 3- D3 Data Bound to DOM Elements. D3 Part 4- D3 Creating SVG Elements Based on Data. D3 Part 5- D3 SVG Coordinate Space. 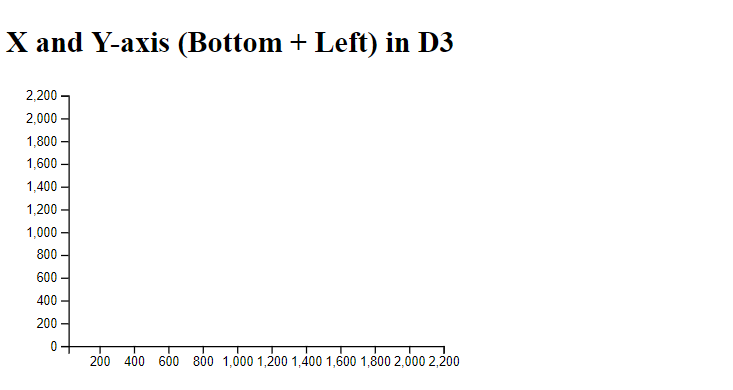 D3 Part 6- Data Structures Using D3. D3 Part 7- Dynamic SVG Coordinate Space Using D3. 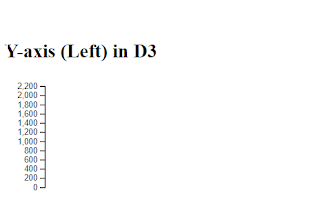 D3 Part 8- Basic D3 Array Utilities. D3 Part 9- SVG Group Element. D3 Part 10- SVG Text Element. 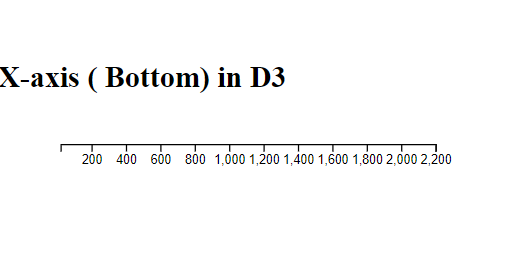 D3 Part 11- SVG Linear Scales. 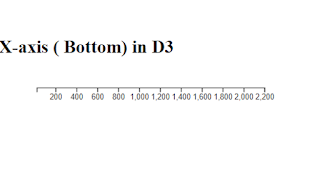 In this lab, we will learn to create axes using scales in D3. The axes render readable reference marks for scales. 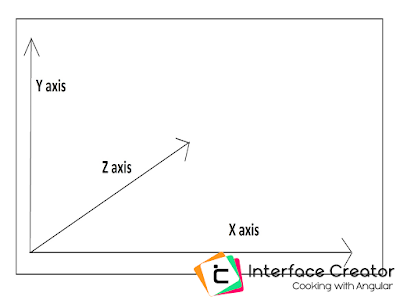 Graphs have two axes: the horizontal (X-Axis) and the vertical (Y-axis) axis. 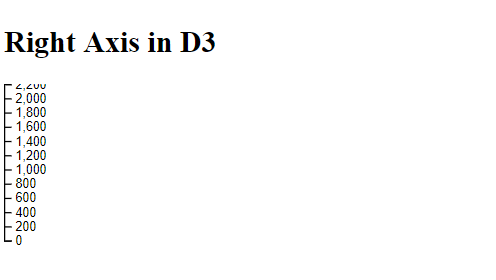 D3 provides functions to draw axes. An axis is made of lines, ticks, and labels. 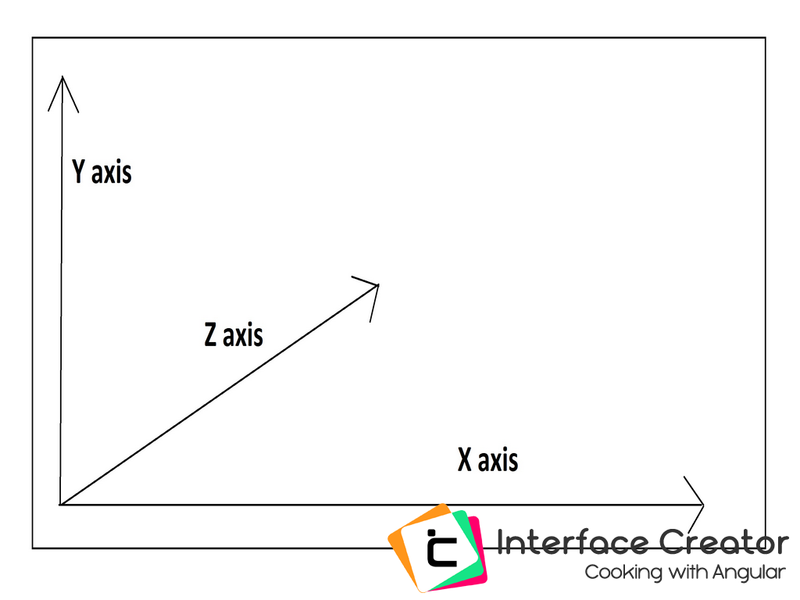 An axis uses a scale so each axis will need to be given a scale to work with. 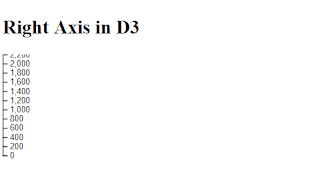 D3 provides the following functions to draw axes.